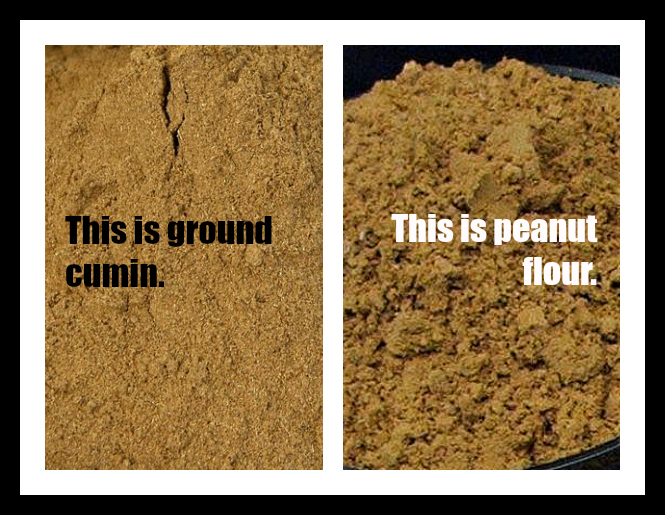 Tagged cumin, food allergy, food safety, peanut allergy, recalls. Now that some time has passed, has anyone taken the risk to eat out at a restaurant where cumin would be included in the ingredients I.e Mexican/Indian? I’ve still been nervous and don’t know what’s safe. I believe enough time has passed with no more recalls that the cumin supplies in the U.S. and Canada can be considered generally safe again. It’s been over a year since this spate of recalls. I know that the FDA and the CFIA were putting a lot of extra scrutiny on cumin imports for quite some time after this and doing random testing, so if there had been a second round of contamination, I hope the public would have heard by now. Thank you for asking. Thank you sooo much for publishing this information! I went into anaphylactic shock 3 weeks ago after eating a burger and onion rings from a local restaurant. A couple weeks later before I heard about the cumin recalls, I made homemade tacos and my husband and I used a taco seasoning kit and even sprinkled extra cumin into it. No wonder I broke out in hives! I can’t thank you enough for your website. I’m so happy that I stumbled across this site. It’s ridiculous what companies are allowed to do to our food and get away with it. If it was their spouse or child who had these life-threatening allergies, then maybe they would take them more seriously. I’m finally grateful for my son’s cumin allergy. (I’ve had to give up ALL ground spices because of cross contamination from it and the garlic allergy.) Thanks for staying on top of this! Beth, restaurants could certainly be affected by this situation. Cumin is a common ingredient in barbeque sauce, chili, curry, and other spicy foods. I would advise asking restaurants you plan to eat at whether they are aware of these recalls and whether they have called their own spice suppliers to verify that their spice products are not affected by this issue. This is a nightmare, even more so based on the fact that so often labels simply say “Spices.” Do you know if any organic products are part of any recalls? And are restaurants affected? My poor kid is going to be scared to eat anything, apparently even meat. Wow, thanks. I imagine Allergic Living would do a story on this if you sent them the info. Also try getting it to NPR or Wash Post or NYTimes, health reporters/editors, perhaps, if not national desk. When it’s a salmonella outbreak, it’s national news. Other poison (peanut) maybe not considered as wide a threat? Not sure if you know what more I can do, but my son (peanut and tree nut allergy) had always eaten Entenmann’s donut holes (nothing on the label mentions either allergen). Then one day he ate those, and nothing else and had a severe hive reaction. When I called them I was told there ARE tree nuts on the facility but they don’t have to put that on the label since they follow FDA regs for cleaning/inspecting. I followed up with a letter stating this obviously is not a good enough practice and they should be ashamed of themselves for not letting consumers know. They called and then denied the facility has tree nuts. Who do I believe? My son only broke out in hives, but it could have been worse.